Camp Qwanoes has a long history of seeing lives changed and relationships developed through outdoor adventure. 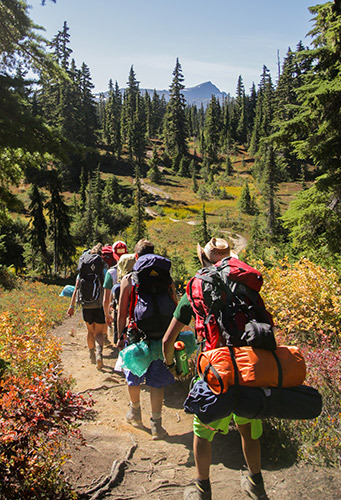 A wide variety of outdoor experiences will stretch and challenge students to go outside their comfort zones to a place where spiritual and personal growth can happen. Whether in the mountains, on a ski slope, or on the water, these adventures teach lessons and create memories that will last a lifetime! Adventure trips are designed to help students grow in their understanding of who they are personally, spiritually, and as leaders. Bible teaching is incorporated into every trip,directing activities or shaping trips as a part of adventure programming. Students learn lessons through adventures that they can apply to any number of life situations in the future. Kaléo students participate in a number of one- to four-night trips throughout the year, which may include a sailing voyage, backpacking up a mountain, a week-long ski and snowboard trip, a high-ropes course, staying overnight in a snow cave, kayaking, cold water surfing, hiking, and caving, to name a few! 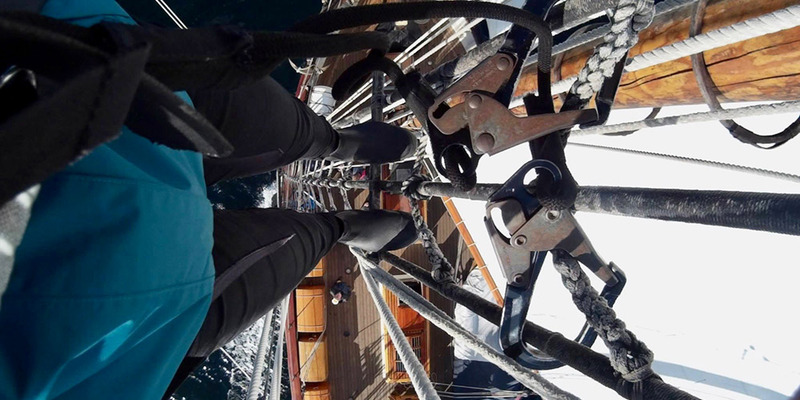 The year starts out with an incredible five-day trip onboard the Pacific Grace, a 130-foot gaff-rigged schooner. The ship was built by S.A.L.T.S. (Sail and Life Training Society) at their shipyard in Victoria, BC, and is equipped with the latest navigational and safety features. S.A.L.T.S. is a non-profit Christian organization that is dedicated to teaching traditions that are too valuable to be forgotten. Halfway through the year, students take a trip to Mount Washington for a time of reflection, connection, and a chance to look forward to the semester ahead. Mount Washington is about two hours north of Qwanoes on Vancouver Island, boasts one of the highest average snowfalls of any ski hill in North America, and has a vertical rise of 505 meters. During the day, beginners and experts alike are kept busy with the alpine and Nordic skiing, snowboarding, and snow shoeing, and during the evenings, students take advantage of the opportunity to rest and reflect back at the chalet.